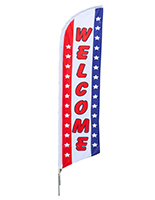 This Bow Flag is Ready to Ship! 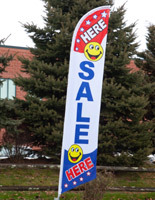 These Banners are Sold at a Wholesale Price! 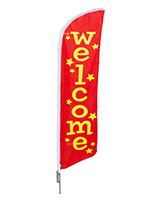 This Bow Flag is the Ideal Message Promotional Tool for Businesses! 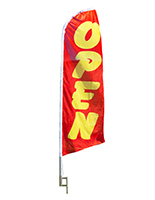 This message banner is economical and sold at a wholesale price because of its use of a custom aluminum pole. 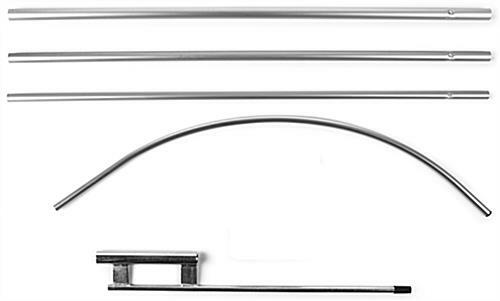 The lightweight aluminum allows for simple portability so users can take this bow flag in during inclement weather condition to add longevity. 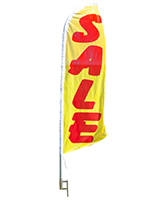 This outdoor-use bow flag, also known as an advertising swooper, is a cost effective method for business advertising. 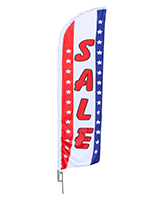 This blade banner comes in many pre-printed designs including an American patriotic design! 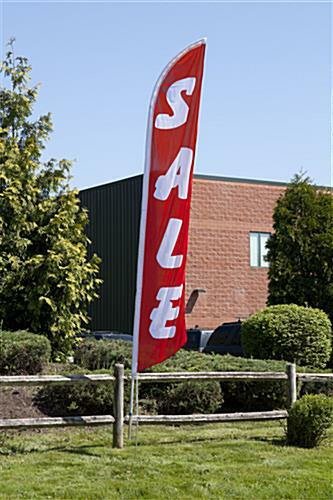 This bow flag that advertises sales is a cheap and simple mode for businesses to relay information to passerby customers. 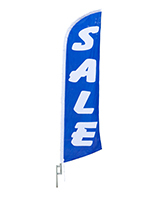 This pennant, similair to a teardrop banner, is a low cost business marketing tool. 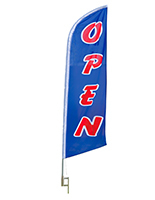 In a competitive market, this bow flag helps set businesses apart!